Enough with the ramble and let's get into the outfit! I found this dress when I was casually wandering in H&M Gandaria City. Guess what .. They were having a sale !! I was more than ecstatic to see this dress because the color is so cute and the criss-cross in the back is just making it so playful, so then I snatched 2 of them - one in cobalt blue. Ok, enough with the story and back to the outfit. 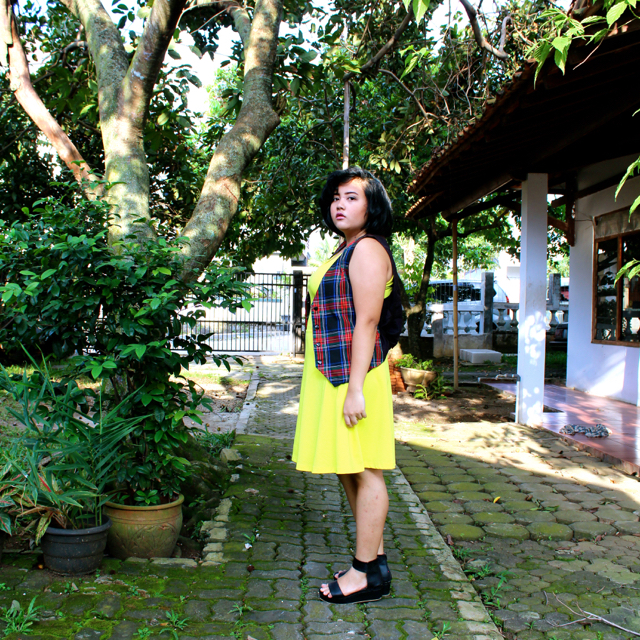 Paired the dress with tartan vest to give it a laid-back feel and the flatforms to toughen up the look. Wishing that I can actually go to school with this outfit, just because the weather has been so hot that it will be so amazing to actually wear less clothes (not in a creepy,naked-y way). On the bright side, I have actually developed a thicker skin so I barely care about what people would actually think about what my outfit looks like. It's when you think more for the people you barely know and less for yourself, that's when you loose yourself. Do whatever you want, but don't damage your own being. 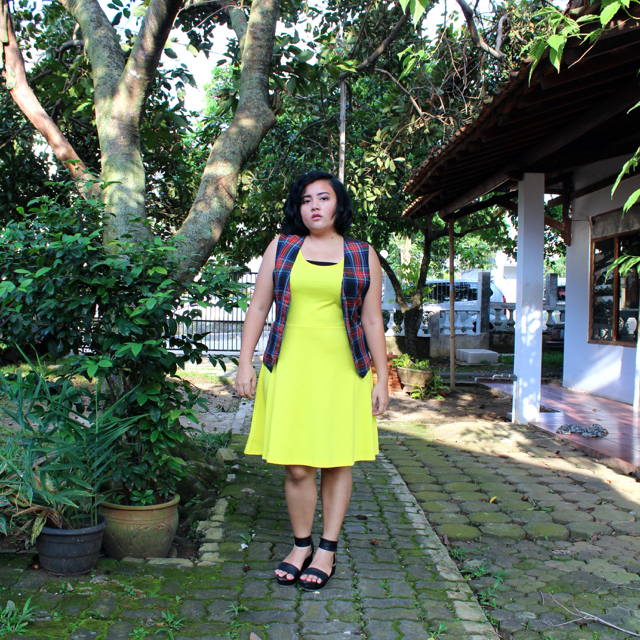 p.s : I graduated from size L to a size M!! So my effort to actually drag myself to the gym has paid off a bit. My advice to you, don't give up on yourself because you haven't see any result. This applies to everything in life.